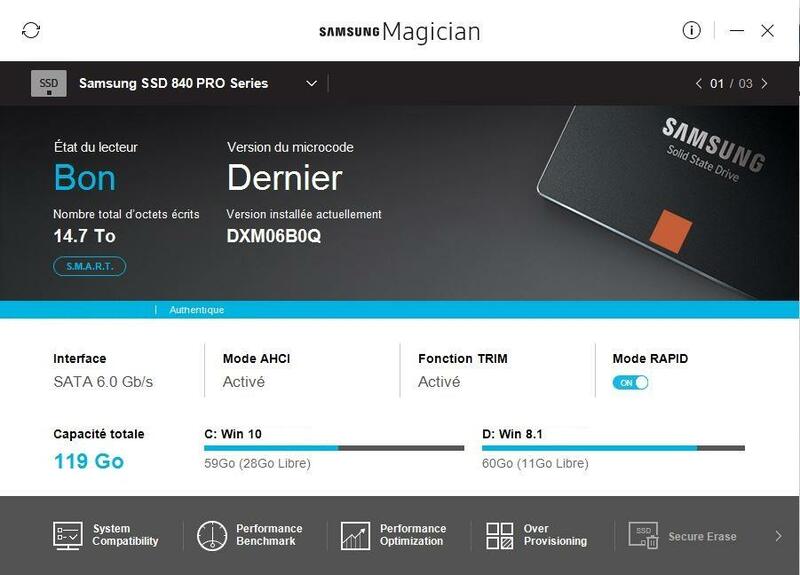 Samsung 840 Pro SSD with very high speed ?? 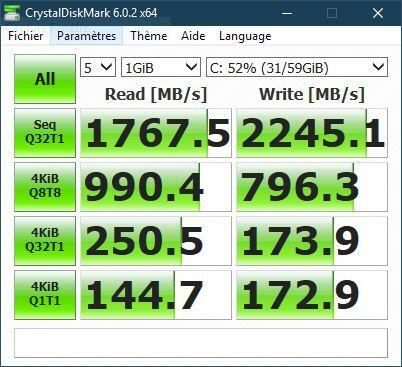 Normally classic SSD 2.5 reach maximum 550 Mb/s speed. He is using windows 10.
so my question is , can we reach a such speed with a simple classic SSD 2.5 sata ? Ok so the mystery was solved, it's because the rapid mode is enabled and when this mode is enabled, the ram is used to cache data which explains why we obtain such high speed at the end of the test. I talked to a specialist @samsung, and he advised me against this mode. Please do let us know why the specialist said so, as the company gave the option for customers to enable it. The company should not false advertise if it is not recommended to use that option. Many customers including me who use Samsung's SSD should be aware of the consequence of the Rapid Mode usage. Not good. You can loose data.